Editor’s Note: This article is part two of Thrillist Milwaukee's year-end look at the best of our city’s local food and drink scene in 2016. In addition to our annual Best New Restaurants award, this year, we’re spotlighting the men and women behind the dishes we love to tell you to eat. Whether they bucked the national trends, revived classic local flavors, or otherwise drove the city's culinary scene, these are the chefs that stood out this year. Check out our picks for the rest of America’s 2016 Best Chefs, and then catch up on Best New Restaurants. It's undeniable that Milwaukee’s restaurant scene is booming, thanks to the hard work of the city's best chefs. It's their dedication that keeps them tweaking menus, revamping the dining room, seeking out new inspiration, and working seriously long hours just so customers can enjoy a meal for an hour. Here are the chefs who had the biggest influence on Milwaukee dining this year, earning themselves the title of Thrillist Milwaukee's Chefs of the Year. 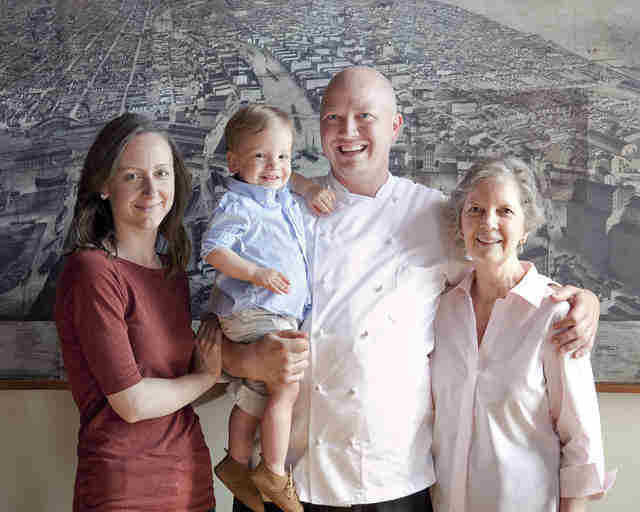 Besides heading up farm-to-table favorite c.1880, James Beard Award semi-finalist Thomas Hauck ventured in a new direction in early 2016 when he purchased Karl Ratzsch. The Milwaukee German restaurant staple, one of the oldest restaurants in the state, got a much needed facelift under Hauck. A complete remodel of the space and the menu ensued, though Hauck was adamant on keeping traditions and the spirit of the restaurant the same. What prompted you to buy Karl Ratzsch? Did you have an idea from the beginning about how you'd revamp the menu? I wanted to buy KR because it's an institution that is important to Milwaukee's history and culture. I didn't want to see it disappear and a piece of Milwaukee be lost with it. I am proud to be able to usher Karl into another century. I wanted to take the menu back to what I think Karl himself would do, look back on the significant impact that German culture has had on Milwaukee, and pull from that to create food for people to enjoy while reflecting. We find our future in our past. Have the changes you made been well received? Yes and no. Some of the clients in an advanced age, I won't lie, are having trouble with the changes. The idea here when I bought it was to not take KR away into something new, just simply update it. A "new suit, haircut" type thing… What we are able to do now is introduce KR to a new generation of diners. 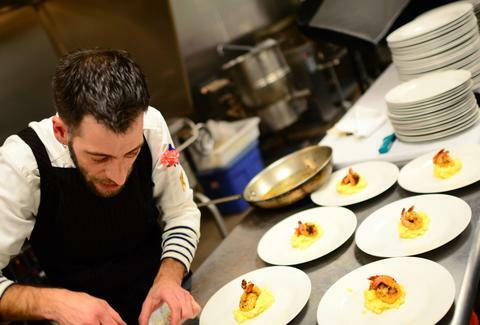 How do you balance working between two restaurants? Between the two restaurants, and my commitment to volunteering with MPS Pro-Start I may get stretched a little thin. I generally try to be where I am needed the most at any moment. I want to make sure that my standard of quality is maintained and I enjoy working. I have great people working for me in both of them. What is the biggest inspiration for your menus? At KR, it's all about the history of German Cuisine, updating classics to make them a little more approachable and modern, not relying so much on starches. Staying true to the intentions though. At c.1880, it's all about the seasons, how many ways can I show you one ingredient, whether it be cauliflower, fennel, lamb or trout. We want to get the clients excited before they get their dinner, that's one reason the menu itself is so limited on descriptions. Where do you like to eat on your off days? I like to eat with my two small children, and my wife. When we can, we go to Roman Candle which isn't to far from where I live. They have a rocket ship, a chalkboard, and a cold beer for Dad. What would we find in your fridge at home right now? A: My favorite sparkling water, Lurisia, yogurt, cheese, milk, giardiniera, lots of baby food, and a giant thing of mayonnaise. 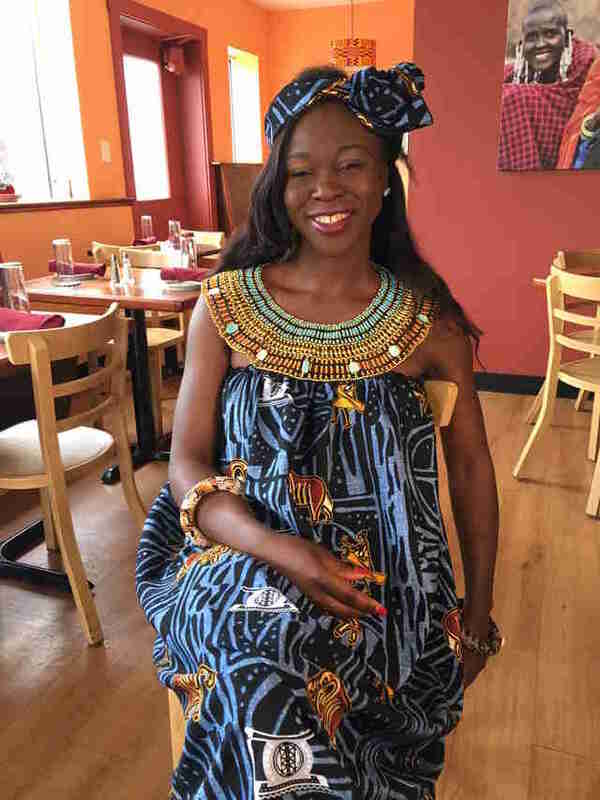 A native of Cameroon who came to Milwaukee in 2001 to pursue an MBA at Marquette University, Yollande Deacon has brought an underrepresented cuisine to the west side. She introduces customers to the African food she grew up with, along with her husband's native Jamaican cuisine, which turns out to be a perfect match. Before opening Irie Zulu, Deacon started a food product company, Afro Fusion Cuisine, which she continues to run alongside the restaurant. You started in the food business with retail products. Did you always want to open a restaurant? I never intended to open a restaurant. I always had a passion for hosting people, sharing my African and Jamaican culture with the community on a more casual setting of our home or during dinners at family and friends. After starting Afro Fusion Cuisine brands out of a desire to share easy and delicious African and Jamaican Cuisine recipes, I found myself renting space in commercial kitchens across Milwaukee. I needed a space that help me grow my business while giving me the flexibility to work in the kitchen at any time of my choosing. The idea of owning a commercial grade kitchen was born. As soon as we opened the doors, more and more people stopped by asking for lunch and dinner sometime forming lines. As our visitors grew in number and interest, we heard the need of offering a full restaurant menu. We gradually evolved in transforming the space to accommodate for patrons. What's your best selling dish? Oxtail. The African version is as popular as the Jamaican version. Our South African Vegan curry is very popular as well. What is the biggest inspiration for your menu? I cook to tell a story that is not just about food. It is about the meaning of ingredients in African cuisine and the cultural journey of a people: People of native African heritage cookery with roots in their homeland in Africa and their new home in the diaspora of Jamaica. Irie Zulu’s Panafrican menu reflects my desire to break internal cultural barriers in Africa and present to the world a diverse, deep yet cohesive and inventive cuisine. As a sociologist by training, I have studied the history of African Cuisines through regional migrations and wanted to show through my menu that as much as there are distinct regional flavors, they work beautifully together into cohesive creative dishes. As such, Irie Zulu's food reflects an educated, deep and culturally sensitive look at the continental cuisine while adding sometime a contemporary flair from my Milwaukee favorite flavors. Are there any food or restaurant trends you wish would go away in MKE? Cooking global or ethnic cuisine or using ethnic spice names with no real effort to connect to, understand, immerse in and value the culture being used. I like to eat anywhere a loving person invites me. Nobody wants to cook for me these days because I am apparently a “celebrity chef” in Milwaukee. A Lot Chobani yogurt, lots of milk for my girls, lots of fruits, lots of Fondy Farmer's Market vegetables. Chef Gregory Leon has grown Amilinda from a sporadic pop-up restaurant, to a weekly pop-up restaurant, to a permanent restaurant. The demand from diners for spots at the pop-ups was so high that finding a permanent home was the only next logical step. Now diners can get a taste of Leon's small, constantly changing menu any day they like. Leon spent his childhood in Venezuela and worked in Spain, lending those cuisines to the menu, along with a hefty dash of Portugal. What were some of the biggest challenges you faced going from a pop-up to a permanent restaurant? I would say the only challenge we really faced was getting customers to the correct location. After operating as a pop-up for so long at The National Cafe, people seemed to think that was our permanent home--It took a few months for the word to get out. Do you find that customers are familiar with the Portuguese and Spanish food on your menu, or is it new to them? I find that when it comes to the Portuguese influenced dishes on our menus our new guests are completely unfamiliar at times with them (our regulars have become more knowledgeable as time has gone by and they have visit us more frequently). As for the Spanish inspired dishes, our biggest challenge was the diners' expectations of finding tapas and paella. I think--and this is just my opinion--that most Americans really just equate Spanish cuisine to those two elements of the Spanish culinary culture. We really have had to teach them that there is a whole other world of Spanish cooking out there. Your kitchen is very open to diners. Was that something that was important to you when you were designing the restaurant? It was always something we really wanted but was not a “must have." Our approach was to work with whatever space we ended up finding and making it work for us. We were very lucky to not only have found a space that had the potential for an open kitchen but also was open to the street. What was the biggest inspiration for your menu? Mostly my travels through Spain and a lot of reading. 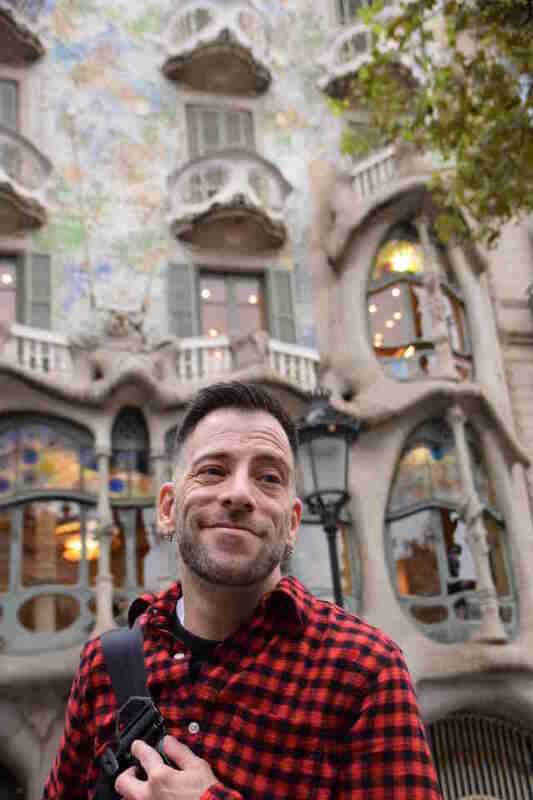 I just concluded a ten day trip to Barcelona and came back with lots of great and new ideas we will be implementing in the coming months. Are there any food or restaurant trends you wish to see more of in Milwaukee? I'd like to see more ethnically diverse restaurants and cuisine. Also late night dining on days that are not the weekend would be great for those of us working in the industry. Goodkind, DanDan and Bavette are always on the top of my list. The National Cafe is our favorite breakfast/brunch spot and for a special occasion it's always Odd Duck. Ketchup, Port and lots of BBQ sauce along with a tub of bacon fat - Keep in mind I just got back from Barcelona. A posh new Kimpton hotel houses Tre Rivali, a restaurant that's kicking the trend of boring hotel dining. 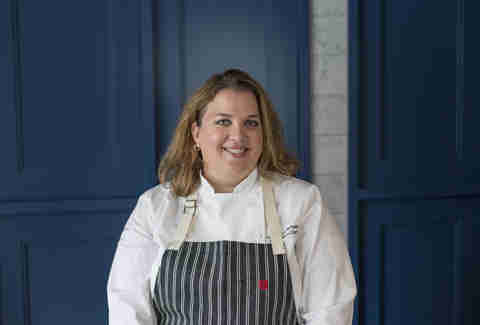 Heather Terhune heads up the kitchen--a newcomer to Milwaukee, but not to the Midwest or the Mediterranean flavors in her menu. She honed her culinary chops at French, Italian and comfort food restaurants, a combination that bodes well in MKE. You may recognize her as a former contestant on Top Chef, but her Midwestern roots shine brighter than her celebrity status. You're new to MKE. Where were you living and working before you came here? I spent the last 18 years in Chicago with Kimpton. My last restaurant there was Sable Kitchen & Bar at Hotel Palomar. Last year (2015), I moved to San Francisco to open BDK Restaurant in the Hotel Monaco. Then I moved back to Chicago in January 2016 when this project came to me. Did you ever see yourself living here? I never thought I would live in Milwaukee. But when I came to look at it, I realized it was the right fit for me both professionally and personally. Has anything surprised you about Milwaukee? Yes. I'm surprised that it feels very similar to Chicago but on a smaller scale, in a good way. How is working at a hotel restaurant different than what you've experienced in the past? Well, I've worked in both independent and restaurants in hotels. At Kimpton, we design independent and unique chef driven restaurants that happen to be inside hotels. Tre Rivali and The Outsider (the hotel's rooftop bar) are certainly not your typical "hotel restaurant" by any means. Travel and my love for food. I've spent extensive time in Italy, Spain and France. Eating and drinking like a local in Europe was how I conceptualized the concept and menus. Are there any food or restaurant trends you wish would go away? I just want to eat real food and be treated like a guest in someone's home. I dislike dining in restaurants where the food is overcomplicated and where you feel like an inconvenience to the staff. Honey Pie, Vanguard, Goodkind and Leon's. I think like most chefs you would find beer, wine and lots of condiments. I'm sure I have six kinds of mustard and eight kinds of jam. Lacey Muszynski is a Milwaukee writer who totally wanted to be a chef when she was little, but turned into a food writer instead. Follow her on Twitter @worthhersalt.